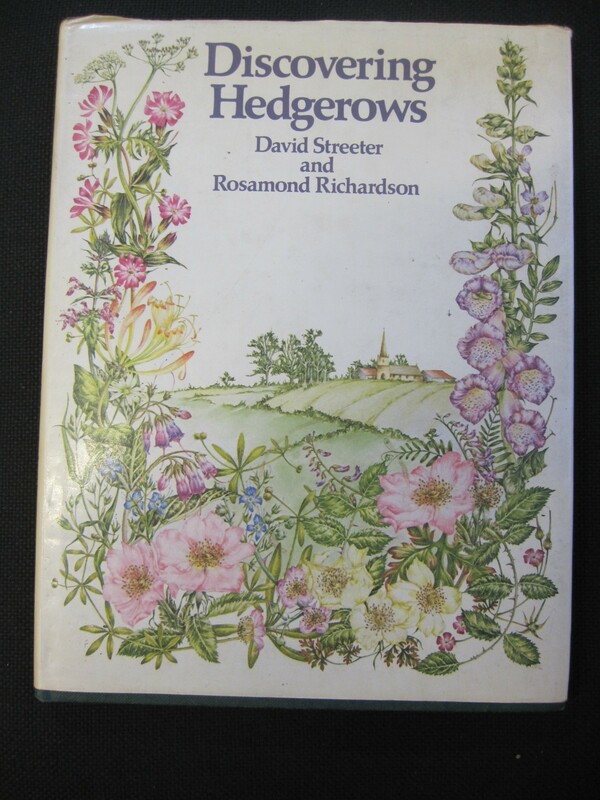 My initiation into keys started with a BBC book called Discovering Hedgerows by David Streeter and Rosamond Richardson published in 1982. Its a well illustrated and accessible account of hedgerows of its time and approaches the subject by looking at what is growing in different months of the year from April to October. It also discusses the history of hedgerows, insects, banks and ditches, plant galls mammals as well as recipes and management. 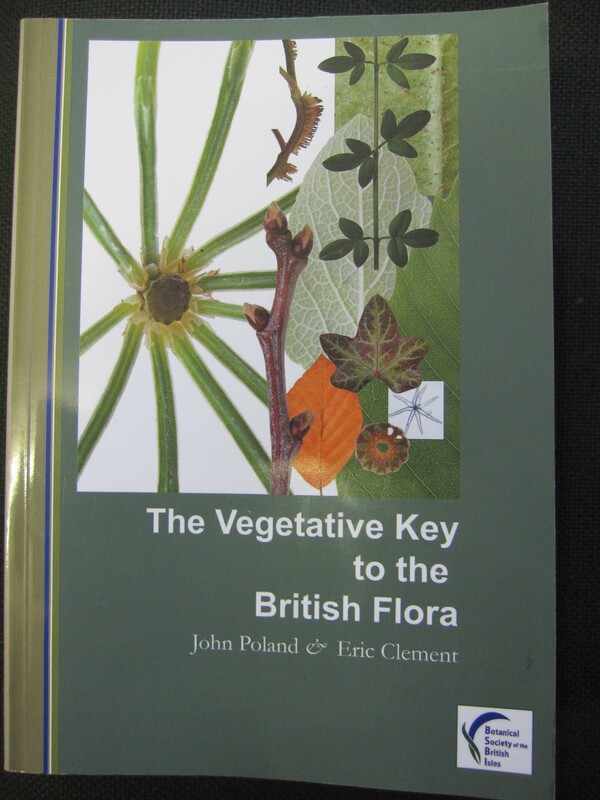 Interestingly for a book of this type however it has 2 plant keys, one on the commoner grasses of hedgerows and the other on twigs of commoner hedgerow trees and shrubs. I don’t think I ever tried out the grasses key, probably because it was the wrong time of year, but I did use the tree key. This is the first time I managed to use a key successfully and felt some sense of achievement from doing so. Looking back I think this is a great way to start using keys because of the limited range of trees to be found in a hedge but also because the identification has to be done in the winter when there is less confusion over defining leaf shapes, flowers etc. This is my most recent book of keys, in fact it only arrived yesterday and the first thing I did was use it to identify a tree. 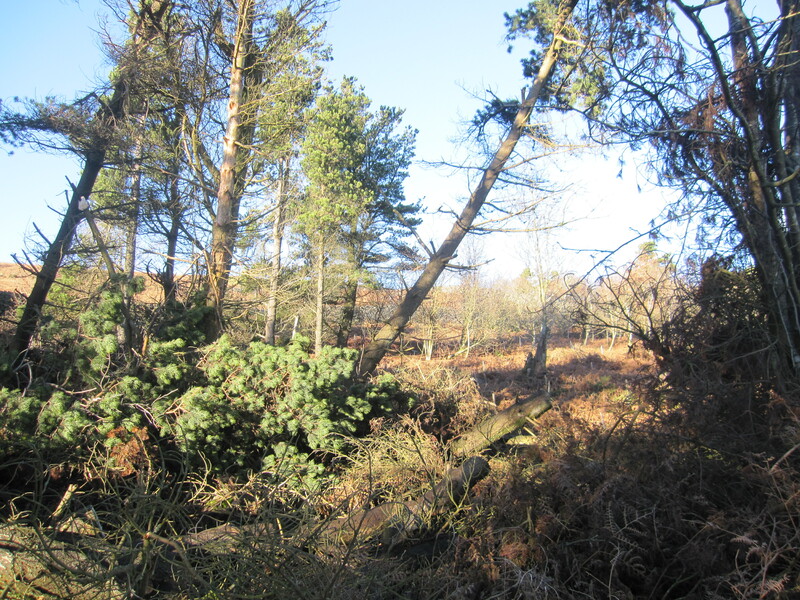 I found the tree last week and had already done a drawing of it which you can just about make out in the photo below. 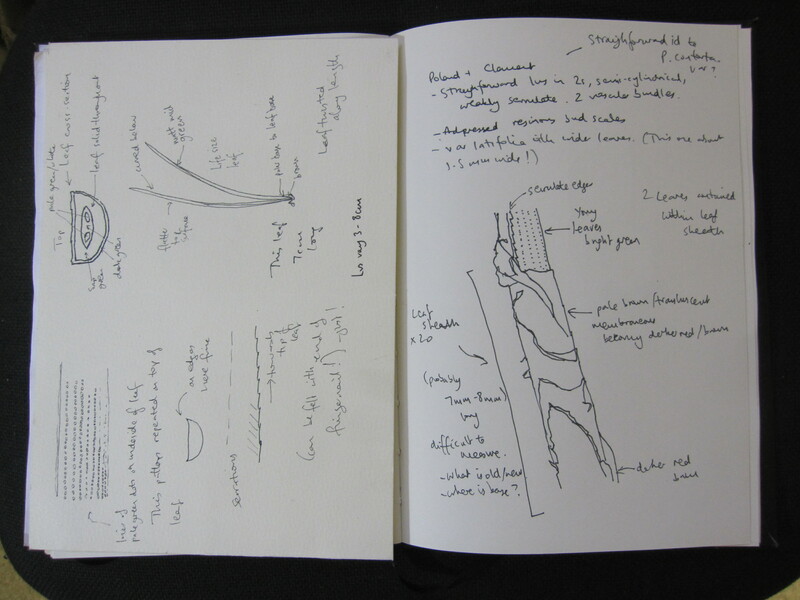 What I had done was draw the needles, 2 in a pair emerging from one basal sheath, a cross section of the needle showing 2 green blobs side by side at its centre and a close up of the leaf edge which appeared to be slightly toothed pointing towards the tip, but only just detectable with the end of the fingernail. The leaf also covered in lines of dots and semi circular in cross section. Serrate means saw toothed with acute teeth pointing towards the apex and serrulate is basically an even finer version. And the blobs are vb’s or vascular bundles. As the majority of the leaves are less then 8cm I plumped for the next set of choices which are basically Scots Pine Pinus sylvestris, Lodgepole Pine Pinus Contorta and Dwarf Mountain Pine Pinus mugo. Now the buds in my specimen are definitely adpressed and covered in plates of white gum. The illustration of P sylvestris on page 27 bud shows what the reflexed scales look like and as its a tall tree I am fairly certain I have P contorta. The next question could be is it var contorta or var latifolia but at the moment I’m quite happy with the broader name. So having used the Poland and Clement once I am keen to test it and me out on some more conifers.